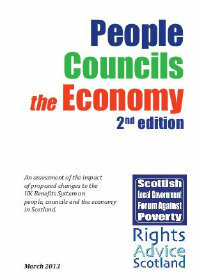 Joint Report with the Scottish Local Government Forum Against Poverty - A comprehensive look at the impact of welfare reform in Scotland 2010-15. 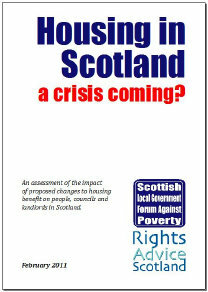 Housing In Scotland - a crisis coming? 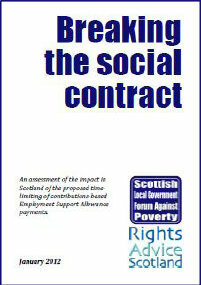 Joint report with the Scottish Local Government Forum Against Poverty, details the Scottish impact of the UK Government’s Housing Benefit Cuts.